Waterleigh offers fantastic amenities like the Lakefront Clubhouse, a Fitness Center, a Resort Style Pool, a Sand Volley Ball court, a Miniature Golf Course, excercise stations, walking trails and more! 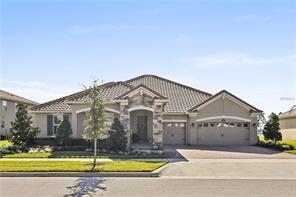 Your new home is perfectly located close to the Orange County National Golf Center, Winter Garden Village, and Hamlin Town Center where you'll find shopping, restaurants and enterainment. Don't wait any longer: call today for your private viewing of this gorgeous home!